We love laser beams. At least, after watching the Star Wars series, you can’t really stop yourself from pointing a toy laser at the wall and try blasting it. They are just the things to draw and keep your attention. But then, the laser, at least, what we know about it, is simply light. Yes, they can be harmful to our eyes and body. But other than specialized uses in optics and medicine, we didn’t really know about any other applications of the laser. Or at least we didn’t, a few years from now. Scientists at the Massachusetts Institute of Technology have found out a way to convey audio, either music or speech, from one person to another using laser technology! They do not need any equipment to receive it and they could just aim and direct the laser containing sound waves at the target individual. This is a possible breakthrough that might define the future of communications and audio technology. According to a press release, Charles M. Wynn of the Massachusetts Institute of Technology said that this is a system that can directly beam information into someone’s ears from a distance. It uses a special kind of a laser which is not harmful to your skin or your eyes. Unlike sound which can spread and can be heard by everyone around you, the laser beams can only be heard by a specific person. That too without creating any kind of loss of information! No one can hear you and what you say remains between you and the person. It comes as a perfect solution to private conversations and to tackle eavesdropping. On top of that, according to Charles M. Wynn, this laser technology can be used in any kind of setting. So, there won’t be any problem if you are in a crowded area or a place with a few people around you. According to the paper which has been released in the Optics Letters, the MIT researchers have developed two methods which can be used to transmit music, recorded speech, and other tones using the laser. Both the techniques use photoacoustic effect – an effect where sound waves are formed due to a material absorbing light. For the laser that was used here, the material absorbed is the water vapor present in the atmosphere. Using one of these methods, the researchers swept the laser beam to move at the speed of sound and changed the length of the sweeps so that it could encode the different pitches and make it audible. 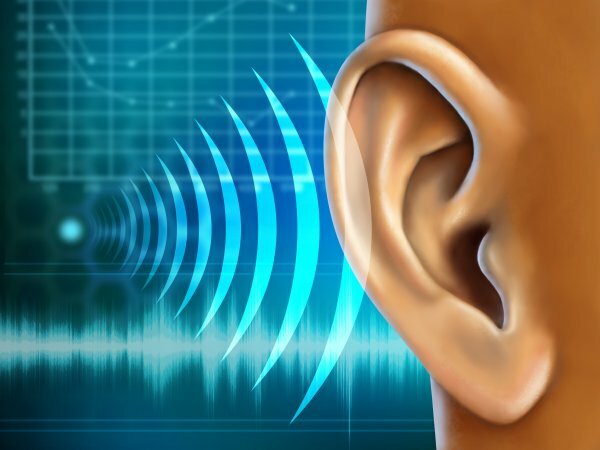 By using this technique, the researchers were able to convey sound to the ear of another person who was standing more than 8.2 feet away. The volume at which the sound travelled was 60 decibels. It is about as loud as a conversation happening in a restaurant where there is no obstruction present between the sound source and the receiver of the audio. When the scientists used another way of audio transmission through the laser, wherein they adjusted the power of the laser beam, the result was a clearer quality of sound which was quieter too. So, now, we can not only play with the laser and tease our cats, but we can also use it to have private conversations with our siblings in the presence of our parents. Awesome! But that’s not the only kind of application that the MIT people have in mind. They wish to increase the distance of transmission so that this technology can be used in emergency situations. Let’s say there is a mass shooting and authorities need to inform the hostages of a secret exit. They can use this technology to directly communicate with the person without the perpetrators knowing anything about the conversation. According to Ryan M. Sullenberger, a researcher, if all things go well, then this technology can be made commercial and new possibilities in communication technology can be achieved. We believe it will – we just hope it doesn’t fall in the wrong hands and be used for harm!
? Alaska Poachers Sentenced For Killing Mother Bear And ‘Shrieking’ Cubs Are We “Living In A Simulation”? Con Man Trump Convinces Small Town to Build Wall In 1958 TV Clip ?